The Milwaukee Brewers have announced the signings of the team’s first three selections in the 2014 First-Year Player Draft, including LHP Kodi Medeiros (First-Round selection, 12th overall), SS Jacob Gatewood (Competitive Balance Round A selection, 41st overall) and OF Monte Harrison (Second-Round selection, 50th overall). In addition, the Brewers also signed C Matt Martin (27th round) from Wake Forest University and LHP Carlos Leal (34th round) from Delta State University. The Brewers have now signed each of their first eight draft selections and 22 overall draft picks from the 2014 First-Year Player Draft. 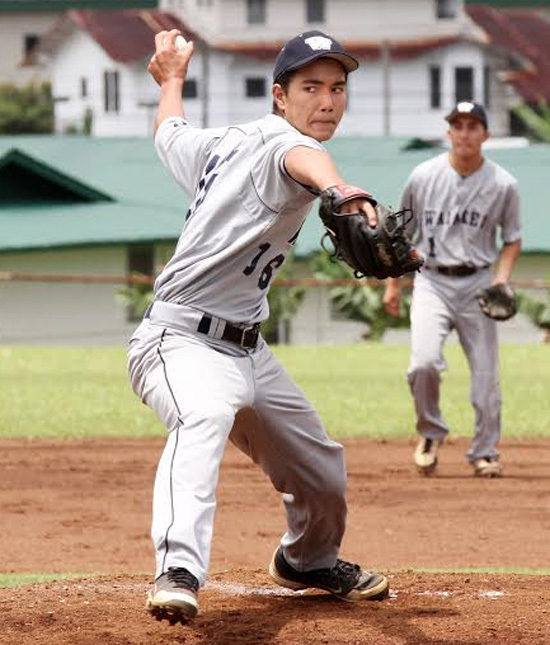 Medeiros, of Hilo, went 7-1 with a 0.97 ERA in eight games as a senior at Waiakea High School. He struck out 83 batters compared to 17 walks and allowed just 14 hits in 43.1 innings pitched this past season. As a sophomore, Medeiros helped lead the Waiakea Warriors to their first-ever state championship. The 6-foot-2, 195 pound left-handed pitcher was selected for the Perfect Game All-American Classic. He is the highest-drafted player to be selected out of high school from Hawaii. Medeiros, 18, had a scholarship offer to Pepperdine University. Gatewood, 18, batted .389 (44-for-113) with nine doubles, five home runs and 28 RBI as a senior at Clovis (CA) High School. The 6-foot-4, 180 pound shortstop won the junior portion of Major League’s Home Run Derby at the 2013 All-Star Game at Citi Field. A month later, he won the Baseball Factory Home Run Derby at the Under Armour All-America Game at Wrigley Field. Gatewood had a commitment to the University of Southern California. Harrison, 18, batted .429 (36-for-84) with 11 doubles, two home runs, 33 RBI and 24 stolen bases during his senior season at Lee’s Summit (MO) West High School. Harrison was a 2013 Underclass First Team selection and a 2014 First Team All-American. A multi-sport athlete, he had a scholarship offer to play baseball and football (as a wide receiver) at the University of Nebraska. His older brother, Shaquille, plays basketball at the University of Tulsa.